The miniseries Band of Brothers inspired Dalton Einhorn to travel to the places where Easy Company served. 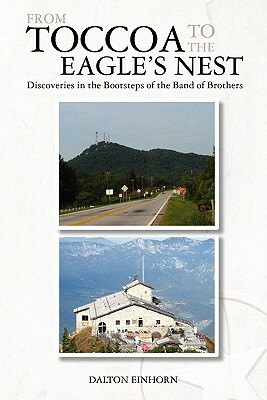 "From Toccoa to the Eagle's Nest" is the product of over 12 trips to sites in the US and in Europe and is the first-ever book that is part travel essay, part travel guide and part history book focused exclusively on the Band of Brothers. His travels to the places where Easy Company trained and fought, many of which still retain their War-time feel, allowed him to meet a variety of veterans, historians, travel guides, fans and local residents. From Camp Toccoa to the field in Austria where the last official picture of Easy Company as a unit was taken, readers will be treated to seeing the history as the author experienced it and will also learn of the legacies forged by the combat experience of the Band of Brothers.